Assistant coach Joren Manz (766) leads Riley Wallace (730) early on in the 2013 SAIT Open. 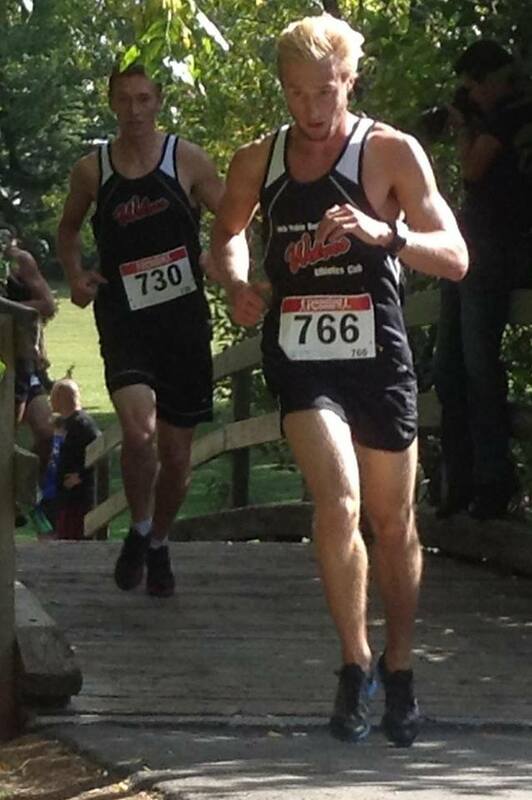 Wallace placed 8th among the college runners, while Manz was 16th amongst the Open runners. Recording their best finish in an ACAC race since 2008, the GPRC Wolves Mens Cross Country Running team placed third amongst the college teams at the SAIT Open in Calgary on Saturday. Led by sophmore runners Hayden Hollowell (5th) and Riley Wallace (8th), the Wolves recorded a team score of 61, 21 points behind the second place team for MacEwan University. Lethbridge College won the team title with 27. Other Wolves finishers included Dylan Zambonelli (22nd), Vaughn Marillier (26th), Ian Keefe (37th), Julian Camsell (46th) and Rawat Gaurav (57th). The Wolves Womens team narrowly missed the podium, placing 4th with 55 points. They trailed third place place Lethbridge College by a scant 2 points, and second place MacEwan Univeristy by 7. SAIT won the womens race with 30 points. 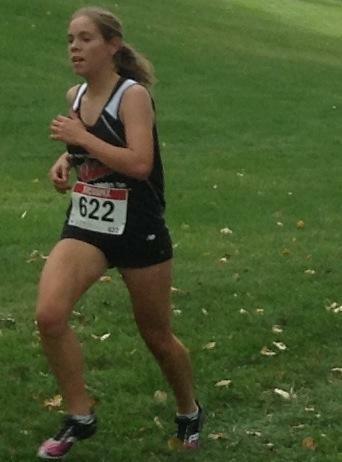 Jamey Wigmore had the best GPRC performance, placing 5th. Kayla Hardy (8th), Amanda Patteson (15th), and Ashley Camsell (27th) were next amongst the Wolves. Kirsten Manz (34th), Emily Whalen (39th) and Filiz Ozgur (58th) rounded out the GPRC participants. Results, when available, will be posted here. The Wolves next see ACAC action in two weeks when they contest the Concordia Open in Edmonton. This entry was posted in Cross Country, Uncategorized. Bookmark the permalink.